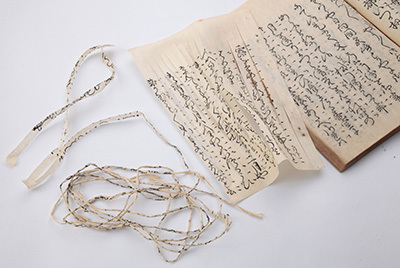 Paper-making was introduced to Japan from China around the 5th century. Used paper would be not discarded. 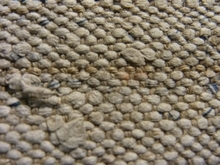 It would be recycled by shredding, spinning and weaving, to be used as weft material. 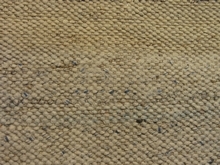 a weft made from spun recycled paper thread which was wrapped around wisteria thread. 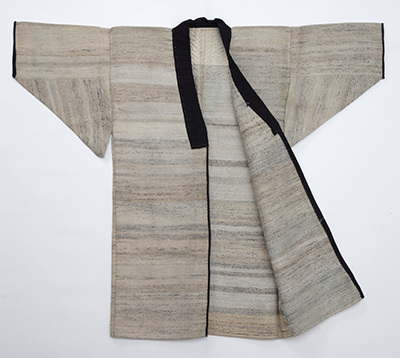 Although very rare, some work clothes such as otsuzure, are woven with a weft made from spun recycled paper thread which was wrapped around wisteria thread. The warp used in these work clothes are made from wisteria thread. 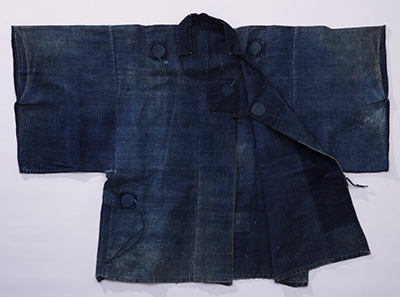 This garment is an example of an otsuzure. Did the conditions in those days influence people to combine the strength of wisteria thread and the softness and warmth of spun paper thread for their work clothes? Otsuzure was made in the mountainous border area between Niigata and Yamagata prefectures and was sold in the Shonai area of Yamagata. Michiyuki Traveling coat According to the shape of the travel outfit, it was most likely worn by a samurai or a townsman during the Edo period. 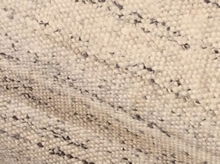 It was dyed in indigo after being woven. The worn-out characteristics of this outfit are very similar to a pair of modern distressed jeans. 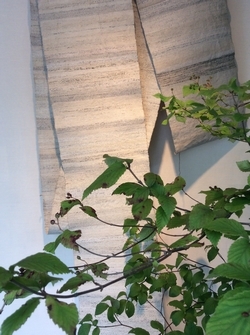 This similarity in appearance is a visual bridge between textiles of two different eras and two far- flung places. Ase-hajiki Han-juban is a short under-kimono, worn similar to an undershirt in western clothing, to keep the interior of the kimono from being soiled. Ase-hajiki literally means to repel sweat. “Ase” in Ase-hajiki means sweat and “hajiki” means repel. It is unknown where this type of undergarment first originated as similar clothing were found in China and Korea. 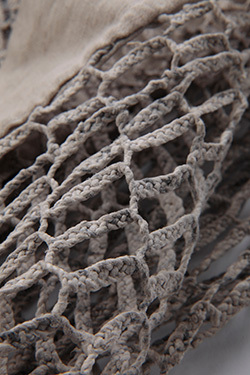 This Ase-hajiki Han-juban is made of tightly braided recycled paper threads. 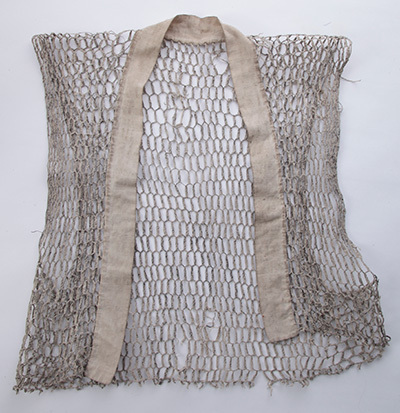 Was this undergarment comfortable to wear beca use the gaps in the tightly braided cloth prevent sweat from sticking to the skin? Copyright 2002 Gallery Kei. All rights reserved.